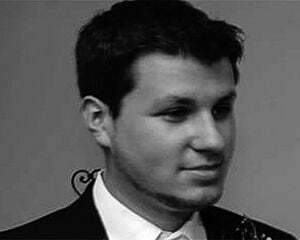 My experience with the Souls series is one of my favorite memories of my entire gaming career. Playing Demon's Souls for the first time made me feel like a kid again, back when games didn't hold your hand and explain every single facet of the adventure -- leaving everything to your imagination. 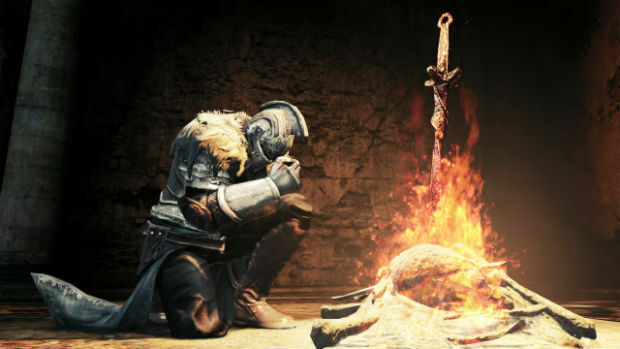 Even though Dark Souls was mainly just a refinement of the formula on a technical level, it offered up all-new experiences that felt wholly unique, and raised the bar in many respects. But then something changed -- Hidetaka Miyazaki, the producer and arguably the heart and soul of the franchise left, passing the torch to Tomohiro Shibuya and Yui Tanimura to carry on his legacy. Once again, Dark Souls II remains relatively unchanged from its predecessors, and still offers up most of the same magic that you fell in love with the first two times around. Dark Souls II in some ways feels like a natural progression from its predecessors. The most on-the-nose example of that is how it blends the concept of Demon's hub world and Dark Soul's open world, complete with numerous branching routes. After completing a short tutorial area (that's completely optional), you'll stumble across the town of Majula -- a location that houses the core bonfire and a number of NPCs. From there, you can choose between five paths (only three are available at first), and embark on your adventure. Each path leads to a new area, which in turn will branch off into other areas, with secret zones and locations to find along the way. In short, Dark Souls II is massive. 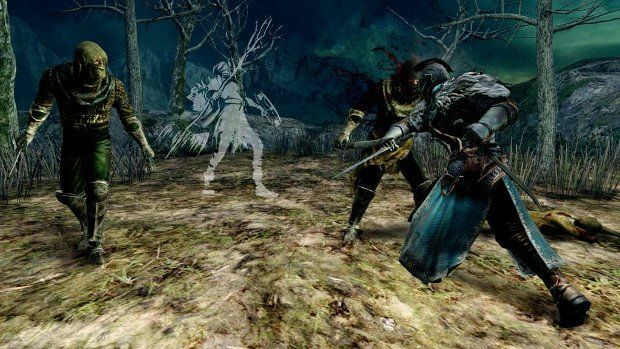 From Software has stated that the world is five times larger than Dark Souls, and even though a lot of that is the fact that many zones now have more lavish real-time backgrounds, the game is still fairly large. For reference, I spent over 30 hours exploring the core areas, and around 20 more trying to find everything there was in the game -- that's just for one character, and that's not even including any New Game+ playthroughs or extended PVP sessions. From Software has done a great job with the new locations, and the vast majority of them have a look that's completely unique to Dark Souls II. Although there are a few familiar themes like castles and tombs, it adds its own signature to them, and differentiates itself very nicely. The zones are so memorable, in fact, that I can actually map out a path in my head throughout the game by memory. I love each game's world in its own way, and Dark Souls II is no different. You'll be able to connect to these areas more easily now through the fully-featured fast-travel system, which allows you to instantly teleport to any bonfire you've visited before from another fire. While your first reaction may be a groan, I found myself loving this system as it opens up the world more-so than ever before. Exploration is always paramount in this franchise, but the fact of the matter is some areas in any Souls games aren't worth trekking through multiple times, so this feature is a welcome one. That said, one thing I didn't particularly like about this mix of philosophies is how From Software went back to the method of leveling up by speaking to an NPC at the hub world. 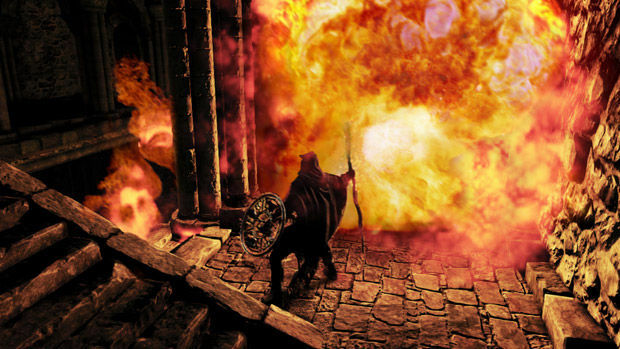 It wasn't a huge deal when you had to go back to the Maiden in Black in Demon's, but Dark Souls felt like such a huge upgrade when it added the ability to level up at bonfires. This constantly keeps you in the game with zero downtime, always ready for adventure. In Dark Souls II, I often would run "errands" while I was back in town and it felt weird in comparison. But forget all that! I'm sure you've been waiting to hear about how difficult the game is, and whether or not the new directors made it more "casual." Worry not, fellow adventurers, because Dark Souls II is still very much a Souls game in just about every way. There are still ridiculous hordes of enemies to fight, tons of traps to spring, and locations that are deliberately designed just to troll you. But as always, patience will be rewarded, as the Souls games aren't unfair, eschewing fake difficulty for challenging design. Bosses are a bit of a mixed bag this time around, but I'm pleased to say that overall I think it's one of the most challenging games yet when you add in the fact that a few fights are over-the-top hard. Expect a lot of humanoid encounters (and more encounters in general, actually), and a few bosses that will make you want to throw your controller into the wall. When I say "mixed bag" though, I'm referring to the fact that a few foes feel like throwaway encounters or clones (in fact, a few are clones, within its own world) -- a stark contrast to the complete originality of its predecessors (which, we have gleaned from interviews, has a lot to do with Miyazaki's direction). But thankfully, there were an equal amount of bosses that I'd put at the top of my list for the entire series to balance these feelings out, and a number of them made me rethink everything I knew about the series tactically. 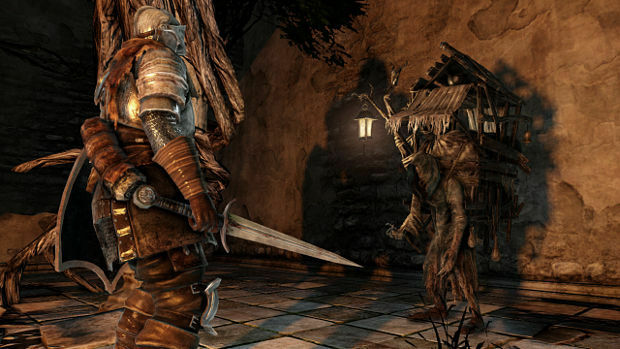 Dark Souls II also makes a few major concessions that franchise fans will undoubtedly find polarizing. First, every time you die in Hollow form, your maximum health bar reduces in size -- eventually down to 50 percent. Remember how everyone hated the curse debuff in Dark Souls? Imagine every death as a curse. The kicker is that the only way to get your health back is to use a human effigy item, which are sometimes hard to come by. Although they are a rare drop from enemies, stores only sell a limited amount (and at a high price), so you will often find yourself fighting through entire zones and up through the boss with half health. Some will find it to be an annoyance -- I actually enjoyed the challenge. The other big change is the fact that enemies completely de-spawn after killing them 10 times in a zone. The fallout for this is two-fold -- now you can basically brute-force your way through a tough area by constantly dying and killing off enemies in your way, and you can no longer grind at length. That's right -- grinding is actively discouraged in Dark Souls II. Personally, I'm a bit torn on this decision, but I found myself not really suffering from its consequences throughout. Only once did I ever find myself having to clear an area 10 times, and the fact that you can't just over-level makes the game harder. In terms of figuring out where to go next, I dare say Dark Souls II is by far the most cryptic Souls game From Software has crafted, as a few required objectives will probably take some of you hours to find. For instance, one massive (required) area that splits off into multiple zones can only be accessed by talking repeatedly to one NPC who seemingly has nothing to do with the story. Is it obtuse? Sure -- but this is the Souls franchise we're talking about. It's a series that demands your full attention at all times, and it's a refreshing break from the automatic on-rails tutorial-laden games that are flooding the market these days. Online features are back, as are a ton of covenants that directly influence online play. Players can now summon others with more options (like voice chat, which cleverly requires a talisman), and likewise, there are more opportunities for PVP, and actual rewards for said combat. You can still leave notes for everyone as well, and enemies can invade you even if you're in Hollow form. Other than that last bit multiplayer is roughly the same as in past games -- which is a good thing. With all the new items and tactics, I'm sure the meta will evolve for months to come just like previous entries. Since this is such a massive game though, there's plenty to do on your own. There's secret areas galore, hidden items, tons of gear, and a hefty amount of optional bosses, with one in particular that will challenge every facet of your Souls talent. It helps that subsequent New Game+ options return, with the added bonus of being more fleshed out this time around, with new enemies and bosses returning as regular foes. Creating and customizing new characters is as just as fun as ever too, since there are more weapon and spell options than in the past. Upon completing the game I had three options: continue exploring my current world, start a New Game+, or roll a different character. Those are all great choices to have considering how long just one playthrough can take. Rest assured if you liked Dark and Demon's you will like Dark Souls II. I was skeptical at first given the proposed changes, but ultimately I had an enjoyable time as I was aimlessly exploring its world and dying over and over to its bosses. Although the loss of Miyazaki stings a bit (particularly in the boss design department), I think this new team did an excellent job without him, and I'd love to see yet another Souls entry as soon as possible. Prepare to die, my friends.